Wow, what a great day! I love Tim Curry! When I was a kid he always seemed to pop up in so many movies, and he was always fun to watch. It’s hard to imagine anyone pulling off Dr. Frank-N-Furter like he did, and he was just as fantastic as Wadsworth the butler in Clue. He turned that movie into something that could have been pretty dumb into a really enjoyable comedy. Then he went to the other side of the spectrum as the evil clown Pennywise in It, which is probably the scariest clown of all time. It’s always good to see him in a role no matter what the movie or TV show is, even if he’s just doing voice-over work. He is one of a kind, and I definitely miss him being in more projects. Here are a few of my favorite clips and pictures. Keep up the great work, Tim! This had better be an April fool’s joke. 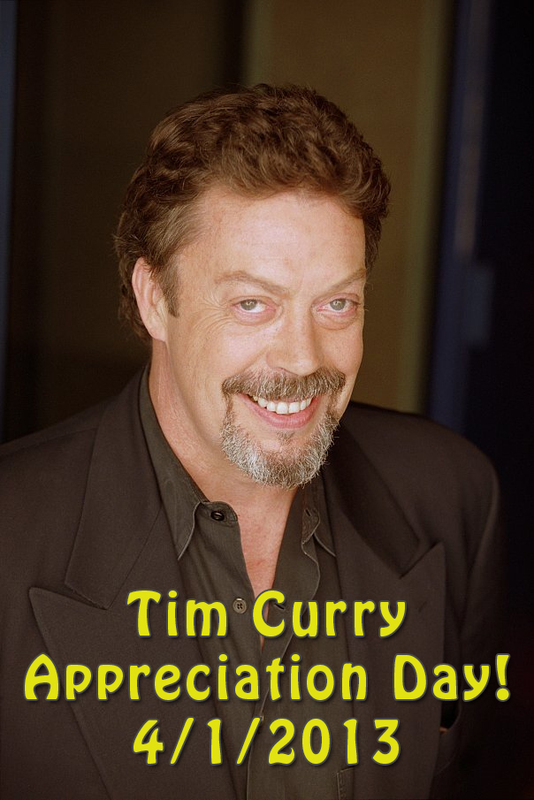 I love Tim Curry too. Wait a minute. This is an April Fools? Here I was getting ready to say that the last time I saw Tim Curry was as a killer on Criminal Minds and how he stole every scene he was in and how I was going to miss his acting and how I loved Rocky Horror. Oh wait, I think I just said all that anyway. Didn’t his career die several years ago? Who the hell is Tim Curry? Really? A death prank? This is so unfunny it hurts. Try harder. Tim Curry is alive and well. I hate it when people post these false death reports. Sierra, you’re 110% right — it’s not in any way funny. How many times had I gone to see Rocky Horror? I loved his voice in Fern Gully and loved him in bad films, too, like the perverted cardinal in the 1993 Three Musketeers version. He’s the man–creature. A top villain for me in films of all time.